"this are suspects who have conducted raids and looted business houses during the stand-off." 11 suspects have been arrested following the January stand off by criminals and police resulting in 3 deaths and the burning down of the Alotau police barracks. Deputy Commissioner Police Operations Jim Andrews said this are suspects who have conducted raids and looted business houses during the stand-off. DCP Andrews said investigations are continuing with police on the hunt for most wanted criminal Tommy Baker and his gang members who sparked the stand-off. 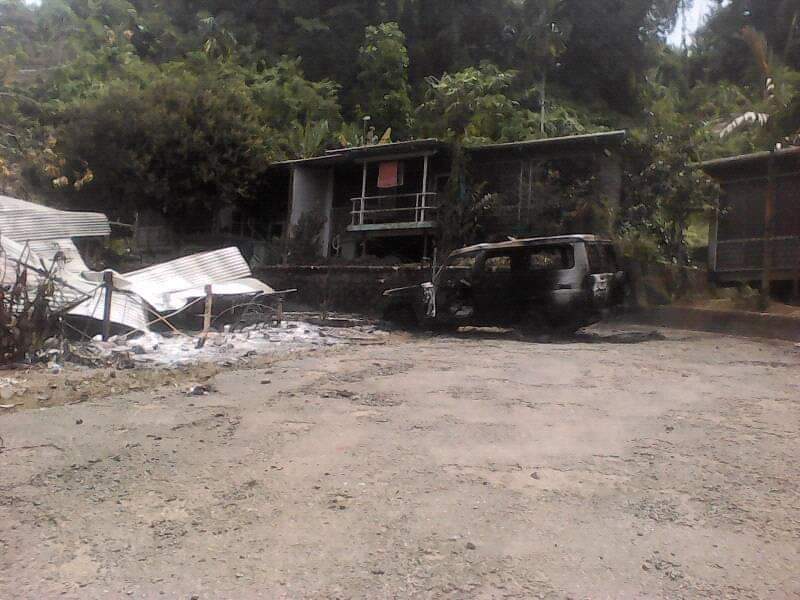 Milne Bay Police boss Inspector George Bayagau said the suspects are interrogated following the recent chaos in Alotau by criminal elements. Inspector Bayagau said details of the arrests couldn’t be disclosed at this time of the investigations. “Formal charges have been laid against those arrested but I cannot not reveal the details of what they have been charged with at this time, “said Inspector Bayagau.